All Strawberrie Rose tutus are created with very high-quality fabrics and each tutu is a fluffy masterpiece designed exclusively for each little girl. 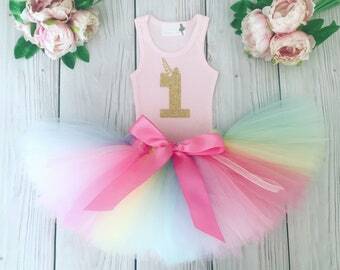 Our birthday tutu dress can also be designed in a cascade of colors to match you party theme. 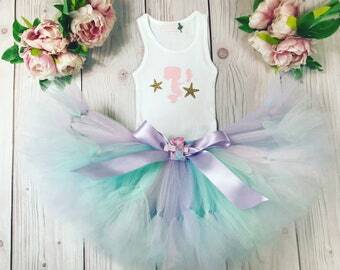 Please message us first to discuss a custom order. View other Strawberrie Rose Couture Collection favorites at: StrawberrieRose.etsy.com. 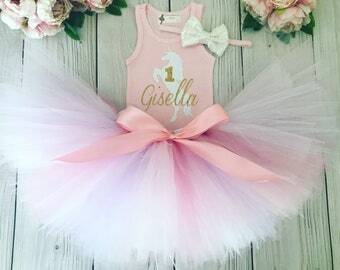 Strawberrie Rose petti tutu dress sets are perfect for many special occasions including little girls birthday parties, tea parties, ballet class, cake smash and birthday photo shoots, baby shower gifts and so much more! 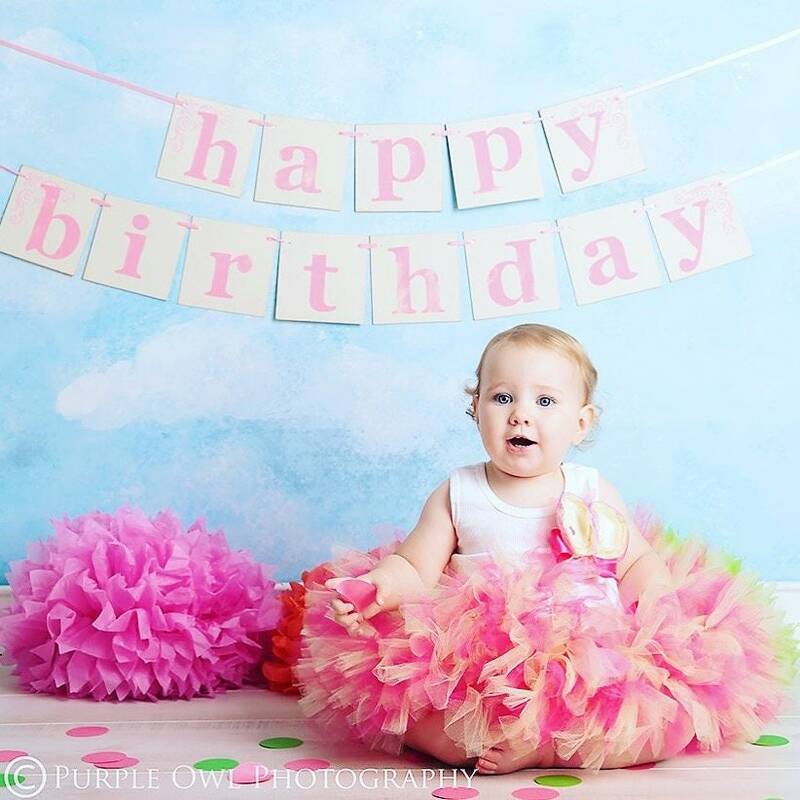 A Strawberrie Rose tutu makes the perfect keepsake for a special little girl and a very unique memorable gift. 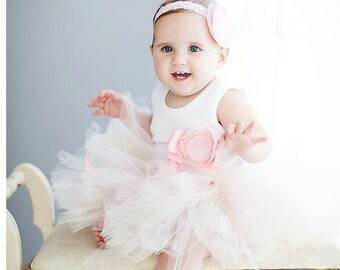 Strawberrie Rose tutu dresses look exquisite on little girls of all ages. 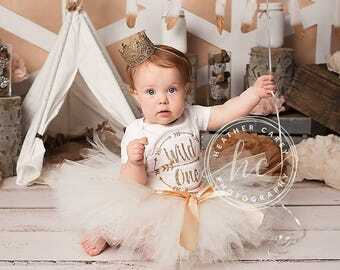 Our baby girl tutus have been featured on many elite online children's party planning and photography sites throughout the world; including Heidi Hope Photography, Kara's Party Ideas and Anders Ruff. 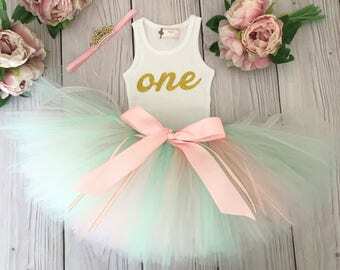 Our birthday outfits for little girls’ special events are handcrafted in Southern California and completely handmade with great attention to every single detail. 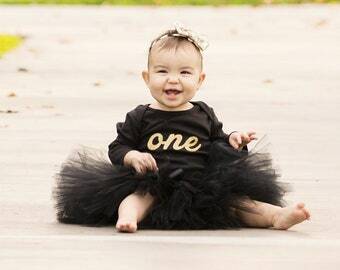 Guaranteed to create sweet smiles, twirling and lots of laughter for years to come. Find us on Facebook at: https://www.facebook.com/StrawberrieRoseCoutureCollection or Instagram @strawberrierose for special announcements and giveaways.